Nefertiti is one of the most well known queens of Egypt, famed throughout the ancient world for her beauty. This is a topic suggestion on Nefertiti from Paper Masters. Use this topic or order a custom research paper, written exactly how you need it to be. Today, Nefertiti is one of the most well known queens of Egypt, famed throughout the ancient world for her beauty. There is little known about the background of Nefertiti but many historians believe that it was unlikely that she was of royal blood. Her father was believed to be a high official of Amenhotep III and Akhenaten, who went on to become the Pharaoh after Tutankhamun. Akhenaten ruled for 17 years in the late 18th dynasty of 14th century B.C. Nefertiti was an “unusually powerful” queen that took an unprecedented level of importance during the Amarna period as she was seen as almost equal to the Pharaoh in status. Nefertiti co-reigned with Ahkhenaten and is rumored to have ruled as pharaoh for three years after his death. Both Nefertiti and Ahkenaten were despised and hated, as Ahkenaten “disrupted more than 1,000 years of tradition by usurping power from the Amun religious cult” and shifting it to the sun god Aten, as well as moving the capital from Thebes to Armana. Nefertiti was active in the religious changes, as she was believed to be the one that initiated the new religion, by which the pharaohs accessed the sun god and it was only through this access that the people could access the Aten. This also explains why the influence that Nefertiti had was far greater than that of her husband. Ancient Egypt Hieroglyphics research papers discuss how pictures were used for the alphabet and representations of whole words in ancient Egypt. Bronze Age research papers overview the advances in society and in Ancient Egypt. Egyptian Art is fascinating because there is still a lot we do not know about it during certain ancient periods, unlike our knowledge of current art. Mummification - Mummification was a sacred ceremony with several stages of ritual spells and treatments performed on the bodies of the dead by Egyptian embalmers. History Ethiopia - History of Ethiopia research papers discuss the history of the African nation of Ethiopia starting from the Middle Paleolithic era. Museum Object Analysis - Museum Object Analysis research papers explore a sample paper order that requires you to visit a museum to help with your research. Human Civilizations - Human Civilization research papers discuss the complex society that people have created with social hierarchy, symbolic communication, and mastery over the physical environment. African History - African History research papers overview one of the longest and most complex chapters in human civilization. Ramses II research papers discuss the most powerful of all Egyptian pharaohs, extending Egyptian. Alexander the Great - Alexander the Great Research Papers discuss his leadership throughout his reign. Hittites - Hittites research papers examine the ancient people from central Anatolia who established a significant empire around 1600 BCE. 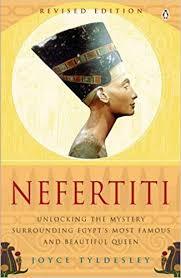 Paper Masters writes custom research papers on Nefertiti and tell the biography of the famous Queen of Egypt.